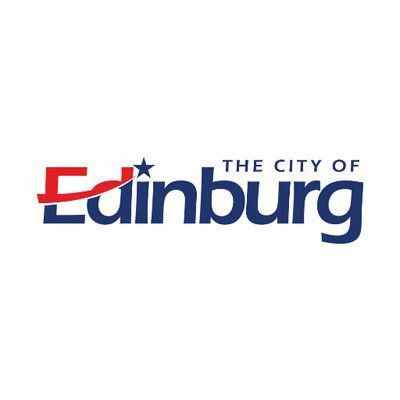 EDINBURG — Edinburg voters will decide whether the city can issue up to $30 million in bonds to fund eight different projects that will address flooding and future road improvements throughout the city. Voters will have the opportunity to weigh in on Propositions C and D — both of which are asking for millions of dollars worth of improvements — on the midterm ballot. Prop C addresses drainage issues. If approved, it would allow the city to borrow $20 million to construct four retention ponds. The city already has four of them, but city leaders believe four more will help alleviate the strain on the county’s drainage system, thereby decreasing the risk of flooding. The water flows north through a system of ditches and canals before hitting the Raymondville Drain, which carries water from Hidalgo County east into the Laguna Madre. “Willacy County controls the levees where the Raymondville Drain opens to the Laguna Madre, and when that system’s full of water, Willacy County officials may determine to close the levee so that the outfall doesn’t erode away,” Zayas said. However, when the levee is closed, it backs up the entire system, causing water to potentially flow into subdivisions. “That’s what happened in June when much of Western Hidalgo County and Edinburg flooded,” Zayas said. Prop C would help alleviate that problem by giving water a place to go. Those retention ponds would be located near Doolittle Road and East University Drive; near Veterans Boulevard and Alberta Road; Sugar Road and Irongate Drive; and Schunior and St. Augustine streets. If voters approve Prop C, the average homeowner can expect to pay an additional $44 in annual property taxes, Zayas said. That figure is based on a home valued at about $120,000. Prop D seeks approval to borrow another $10 million to address road improvements for four different projects. The first would fund construction on Alberta Road from Closner Boulevard to Edinburg’s west city limit. The street would be widened in some areas to four lanes and the curbs, gutters and drainage along its path would also be improved. The money would also fund the installation of sidewalks along the road. The second project calls for the same type of work but on Schunior Road from Closner Boulevard to Mon Mack Road. The third and fourth projects the bond issuance would fund would not pay for construction of roads, but for the acquisition, or purchase, of land in order to build them. “You can’t build roads if you don’t have the land,” Zayas said. If approved, the city would purchase land near North Sugar Road and North Jackson Road so that when expansion calls for new roads, the city will already have access to that land to build roads. The total price tag on the four projects for Prop D amounts to about $9.9 million. If approved, Prop D would levy an additional $22.05 in annual taxes for the average homeowner, Zayas said. Voters can vote on each measure individually. Early voting ends Friday and Election Day is set for Nov. 6.